"One of the good guys." "Bobby, I am so sorry to hear of your loss. You and your..."
"So sorry to hear. What an amazing story. Prayers with all..."
"he was one of my heroes!" "Nancy, I am so sorry. 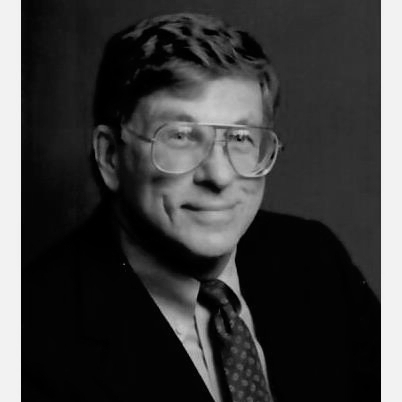 You and Dr. Ulrich helped me through..."
Dr. Richard Ulrich passed away, Thursday, April 4, 2019, nine days before his 84th birthday, at his home after a long illness. He was born in Cleveland, Ohio on April 13, 1935 to Francis Xavier Ulrich and Elsie Fuzer Ulrich. His father died when he was 10 years old and he worked multiple jobs through high school and college to help pay for his education. These included mowing lawns, painting, construction, bagging and stocking groceries, retail clothing store, working on an assembly line at a Ford plant, Standard Products and East Ohio gas company. He graduated from Fairview High School in 1953 and from Xavier University in Cincinnati with a degree in Chemistry in 1958. After graduation, he attended dental school at Northwestern University in Chicago for two years before attending Medical School at Ohio State University where he graduated in 1964 with an MD degree. He did a medical internship and medical residency at Barnes Hospital, Washington University, which was interrupted by the draft for the Viet Nam war in March of 1966. He had met his wife at Barnes Hospital where she was a nurse and they were married in May of 1966 before he was sent to Okinawa. He served as a Captain and the Preventive Medical Officer for Southeast Asia for the duration of his tour. First son, Robert, was born in 1967 in Okinawa. After returning to the States in 1968, he completed his medical residency in St. Louis and then moved to Cleveland Ohio for Neurology residency at University Hospitals of Cleveland. He did additional training in Neuro-Otology as a fellow in Iowa City at the University of Iowa. He was Board Certified by the Board of Neurology and Psychiatry in 1972. After fellowship, his family moved to Lafayette, LA where he started a private practice with the Hamilton Medical Group. In 1974, he moved to Tyler where he was the first Neurologist in East Texas. He retired in 2014 after 40 years of practice. He was a member of Smith County Medical Society, Texas Medical Society, Texas Neurological Society, American Academy of Neurology and the American Association of Disability Evaluating Physicians. Throughout his life, he loved cars and engines and working on them in his spare time. In 1985 he started the East Texas Auto Show with proceeds, at first, for Muscular Dystrophy and later to the East Texas Crisis Center. Richard was preceded in death by his parents and Aunt Mary Fuzer. He is survived by his wife of 52 years, Nancy; sons, Dr. Robert Ulrich and Gregory Ulrich and wife Heather Bates Ulrich; daughter, Dr. Elizabeth Peckham and husband Dr. Russell Peckham and eight grandchildren, Hudson, Hayden, and Paxton Ulrich, Emma Ulrich, and Kate, Jay, Andrew and Violet Peckham. He is also survived by a sister- in-law, Sally Vandergriff and husband Mike and a brother-in-law, Earl Maucker and wife Betsy as well as several nieces and nephews. Visitation will be held Sunday, April 14, 2019 from 4-6 p.m. with the rosary at 6:00 p.m. by Deacon William Necessary at Stewart Family Funeral Home at 7525 Old Jacksonville Highway. Funeral Mass will be on Monday, April 15th at 10:00 a.m. at the Cathedral of the Immaculate Conception under the direction of Stewart Family Funeral Home. In lieu of flowers, donations, may be made to The Hospice of East Texas Foundation, 4111 University Blvd., Tyler, TX 75701; Pets Fur People, 1823 CR 386, Tyler, TX 75708; East Texas Symphony, 107 E. Erwin St., Tyler, TX 75702; East Texas Crisis Center, P.O. Box 7060, Tyler, TX 75711; or to the .